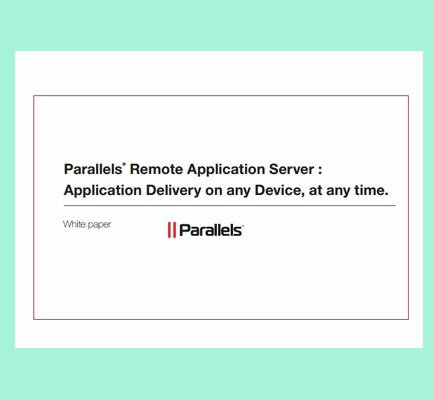 "How Parallels Remote Application Server meets the application delivery challenges"
Application delivery is essential to the work environment. Businesses of all sizes need to have constant access to their applications, to keep the wheel turning, whether in the office, or while working remotely. The primal responsibility of the IT segment of any business is to ensure that business applications are securely, reliably and efficiently available to end-users, regardless of the device, OS and platform they use. Application delivery offers a centralized management system which enables you to effectively monitor and manage the entire infrastructure from a single dashboard.